A view of Havana harbor. Photo by Chip Cooper, a photography instructor in the College of Arts and Sciences. Study chemistry in China. Literature in Cuba. Geography in Ghana. Whatever your area of interest, the College of Arts and Sciences offers a way to deepen your exploration of it through international programs. We emphasize global citizenship — awareness and experience of the world beyond U.S. borders — in every aspect of our teaching, research, scholarship, and service. Our collaborations with educators in Asia, Africa, the Caribbean, and Europe are part of a broader movement of the world’s scholars to prepare students through intra- and inter-territorial studies for entry into a diverse, complex world. Semester-long study is the best way to gain that preparation while maintaining academic continuity. We offer programs in China, Cuba, Ghana, and Greece and are developing partnerships with universities in several other countries. In recent semesters, A&S students have traveled to China to study centuries-old cave paintings or to immerse themselves in the language and culture. Representatives of the dean’s office and faculty from the Department of Chemistry and Biochemistry have visited Lanzhou University and Northwest Normal University to explore student exchange, teaching, and research focusing on the sciences. The University of Alabama Center for Cuba Collaboration and Scholarship seeks to develop partnerships between UA and Cuban faculty and students in both education and research/scholarship. Since 2002, some 90 faculty and 75 students from The University of Alabama have traveled to Cuba under this initiative, and more than 80 scholarly activities including articles, artworks, performances, exhibitions, and books have been produced by UA faculty participating in the program. Information about the Alabama-Cuba Initiative is available at cuba.ua.edu. Since the fall 2012 semester, students have had the option of spending a full semester or two weeks during the summer in Ghana, part of a nine-year-old study program based in the Department of Geography. Plans are underway to offer students at UA and the University of Ghana the option of pursuing courses at either university through this academic partnership. Information about the summer program is available at studyabroad.ua.edu. The Alabama-Greece Initiative has expanded a summer study-abroad program into an ongoing relationship with Aristotle University, one of Greece’s major research universities, that may soon include a semester-long exchange program.  College departments involved in the initiative include the Department of Religious Studies, New College, the Department of Modern Languages and Classics, the Department of Gender and Race Studies, and the School of Music. Members of the wider university community have also made important contributions to the initiative, including the Honors College, the University’s Creative Campus initiative, and University Libraries. Information about the Alabama-Greece Initiative is available at greece.as.ua.edu. Departments within the College and across the University participate in a wide range of other study abroad opportunities in a dozen other nations. Learn more about them through Capstone International Academic Programs or your department.